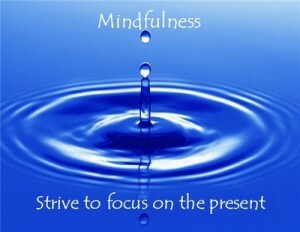 I have written many blogs on mindfulness and how it is a beneficial tool for attention as well as increasing well-being. Increasing your mindfulness involves practicing some specific tools. As the concept becomes more mainstream, research is attempting to break down how exactly it can impact your life and experience. Present moment attention is the ability to focus on what is happening beyond your own activity. This was the strongest predictor for positive emotions. When we are more attentive, we tend to feel better. When we are distracted, it is harder to appreciate our experience, look for the positive and notice small things. Think about how you feel when you stop and “smell the roses”, really see the sun set, or watch someone you love with your full attention. We are wired to focus on the negative, so giving your full attention gives more mental power to what might be a more positive focus. Pay attention to when your thoughts either go towards the past or the future. Remember the phrase, ”it’s not what if, but what now” as a way to bring your mental and physical attention to the present moment. Always remember your breath is the easiest way to bring your attention to your present body experience and slow your mind to “being here now”. Acting with Awareness is focusing your attention on your own activity rather than doing things automatically or mindlessly. Try one specific activity – brushing your teeth, focusing on the first three bites of your lunch, but do it with attention. When you take a shower, pay attention to your five senses. https://www.manypathstohealing.com/2014/06/12/come-to-your-senses/ Turn an everyday action into a tool for mindfulness. While mindfulness is not a sure bet for a life filled with joy and happiness, it can be a tool to increase well being and expand how you live each moment. These three tools will help you on your healing journey.